The only thing better than regular performance art would be performance art that involves giant robotic knitting machines. Boom. 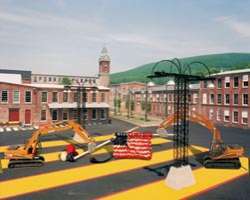 In a recent example, Dave Cole used construction equipment and 20 foot knitting needles to knit giant objects, like this oversized American flag at http://www.massmoca.org/. The project, which took place in July, involved a pair of John Deer excavators to create the flag at the museum. 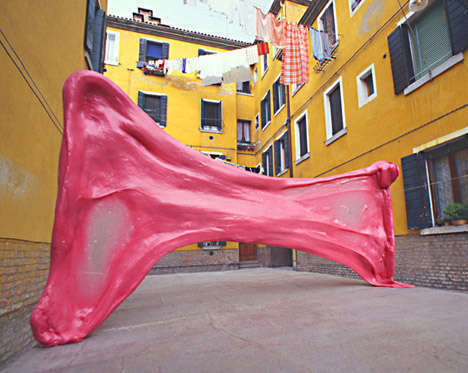 After creation, the flag was folded military style, and is now housed as part of the MASS MoCa collection.